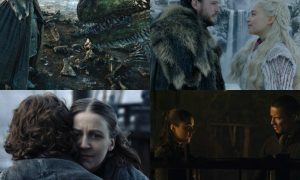 For all GoT fans, winter may have come to Westeros but it’s brought spring to your hearts. 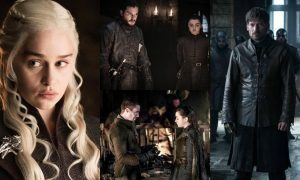 The first episode of Game Of Thrones Season 8 premiered this morning and fans across the globe are still in their ‘Game Of Thrones‘ zone. 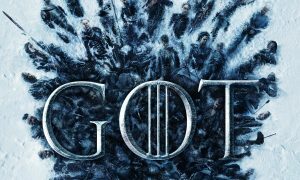 On the eve of the premiere of Game Of Thrones Season 8 Episode 1, the Jonases cheered for Sophie Turner. Sophie who plays Sansa Stark is Joe Jonas‘ and the entire clan showed their love. 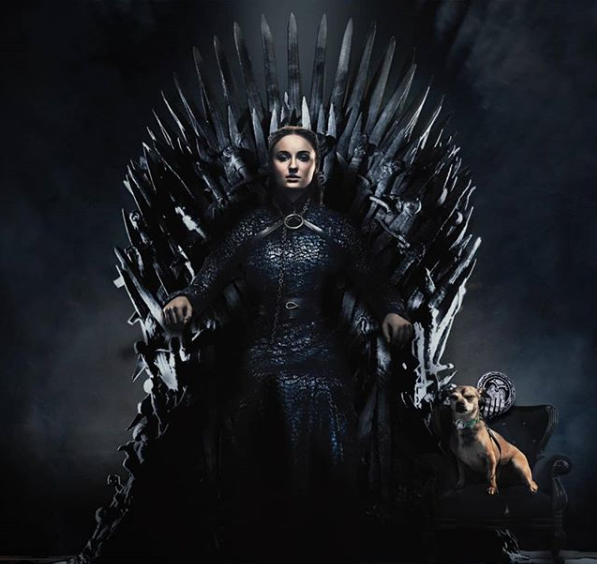 Priyanka Chopra Jonas hilariously photoshopped her pet dog Diana right beside Sansa on the Iron Throne and gave a shout out to her.